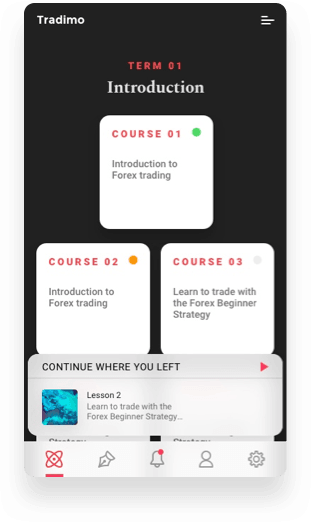 Tradimo introduces an all-new way of learning to trade & invest. Tradimo Nanodiploma is an optimised learning path with the very best video courses, quizzes and practical projects you need to master a trading or investing topic of your choice. It has never been easier. Access to the highest rated and carefully curated videos & original trading and investing content. 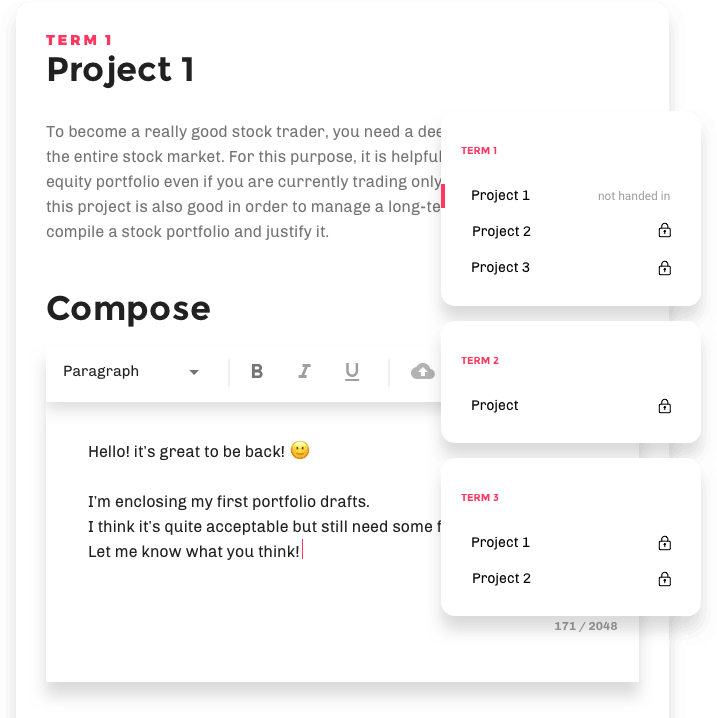 Personalised progress tracking along your entire learning journey. 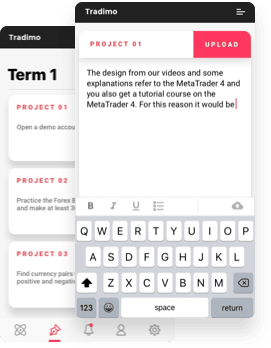 Practical projects with personal feedback for you by a skilled and experienced trader or investor. Access to our Trading & investing signal Slack community with 40% return p.a. where you meet all other Nanodiploma students. Our learning path makes education in very advanced topics super easy. You know where to start and whenever you leave our website, you can continue anytime, right where you left off, thanks to our progress tracking features. 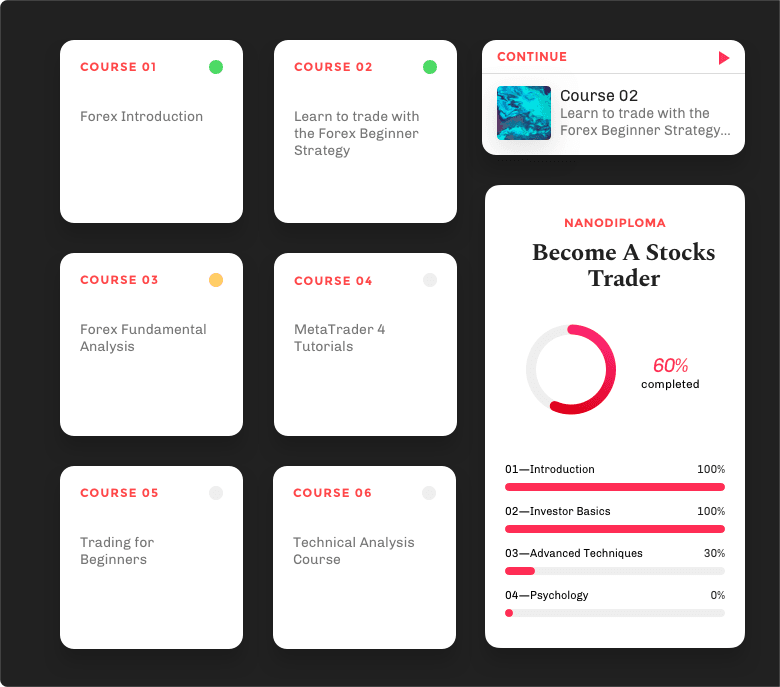 As part of every Nanodiploma, you’ll be challenged to complete a certain amount of practical trading and investing projects after each term and get your own private, personal feedback from your mentor, an experienced trader or investor. As part of your Premium membership, you can choose your favourite Nanodiploma. Start your trading & investing career today. Forex (foreign exchange) or currency trading is one of the most popular forms of trading. Every day, trillions of dollars worth of forex trading occurs, the market is open 24 hours on 5 days per week and currency values are among the fastest to react when a major news about a country’s economy comes out. Stock market investors buy and hold stocks for the longer term. Successful investors like Warren Buffett let their money achieve exponential results for them by buying stocks when others are fearful and being careful when others are greedy. You don't have to be a multi-millionaire to start investing. Every $100 helps you on your journey to wealth.